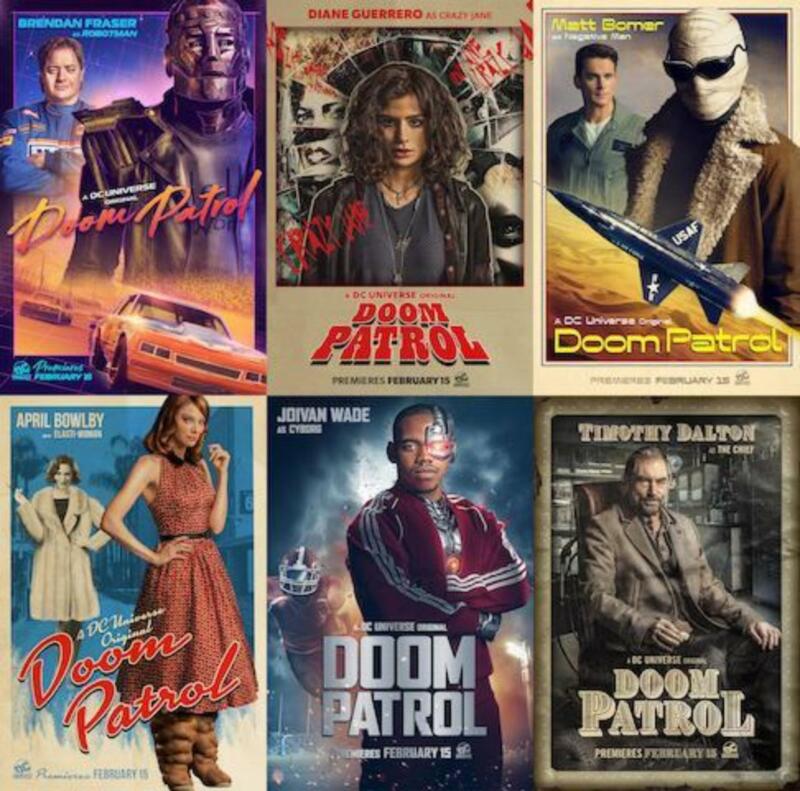 On February 15, the DC Universe drama Doom Patrol will debut online. This is a re-imagining of one of DC’s most beloved groups of outcast Super Heroes: Robotman (Brendan Fraser), Negative Man (Matt Bomer), Elasti-Girl (April Bowlby) and Crazy Jane (Diane Guerrero), led by modern-day mad scientist Dr. Niles Caulder aka The Chief (Timothy Dalton). The cast will also include Alan Tudyk and Jovian Wade.